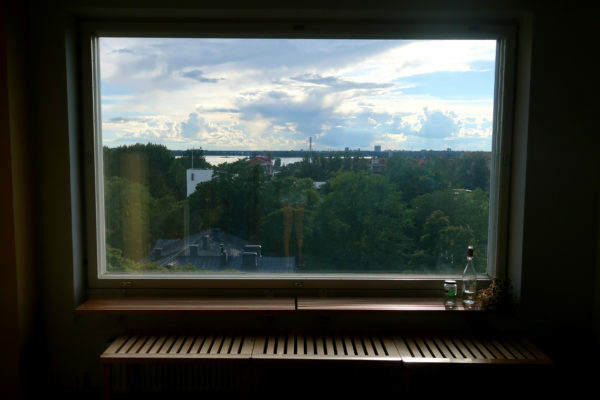 The silence was probably the most distinctive feature that caught my attention in Helsinki during my first 36 hours in the city. At first, it didn’t seem that extraordinary for it to be so quiet. I had landed at 6 am on a Saturday, after all. But then my Peruvian colleague, who had gotten to the city on a Friday evening, pointed it out during breakfast. And then I noticed it again and again as we walked around the streets near the hotel, as I browsed through the aisles of the supermarket and even (quite shockingly for a Brazilian) at the beach on a Sunday morning. I still haven’t seen more than a glimpse of Finland, but this quietness seems meaningful. It seems to be related to a certain attitude; something in between introversion, rationality and calm. Which also made me think of the book “Finnish Nightmares”, that was part of our welcome pack. 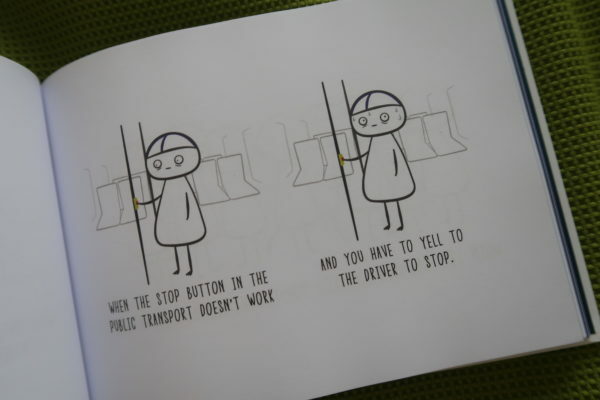 As I read it, I couldn’t help but laughing at one particular scene: when the character, Matti, is terrified of having to yell to the bus driver when the stop button doesn’t work. It was so funny to me because when I’m away from home, I always think of the informality in which people from my city yell to the bus driver when he misses a stop (as it so often happens). For me, it symbolises the messy and spontaneous way we have of sorting things out when they don’t work as they should. Something that seems (from my very superficial point of view) very different from the Finnish way of handling daily life. The programme hasn’t officially started as I write this blog post, but I hope that the following three weeks will give me plenty of chances to get a deeper understanding about how things work up here. And unofficially, I might add, the FCP has already been great: I’ve met quite a few of the participants, who all seem super friendly and eager to learn and share experiences about journalism, their home countries and everything in between. Coming from a city with virtually no seasons, it was also nice to see the sun stay up until 11 pm. And as I was going to bed, I couldn’t help but thinking of how much learning and fun we’re certainly going to fit in each of the long days that lie ahead.